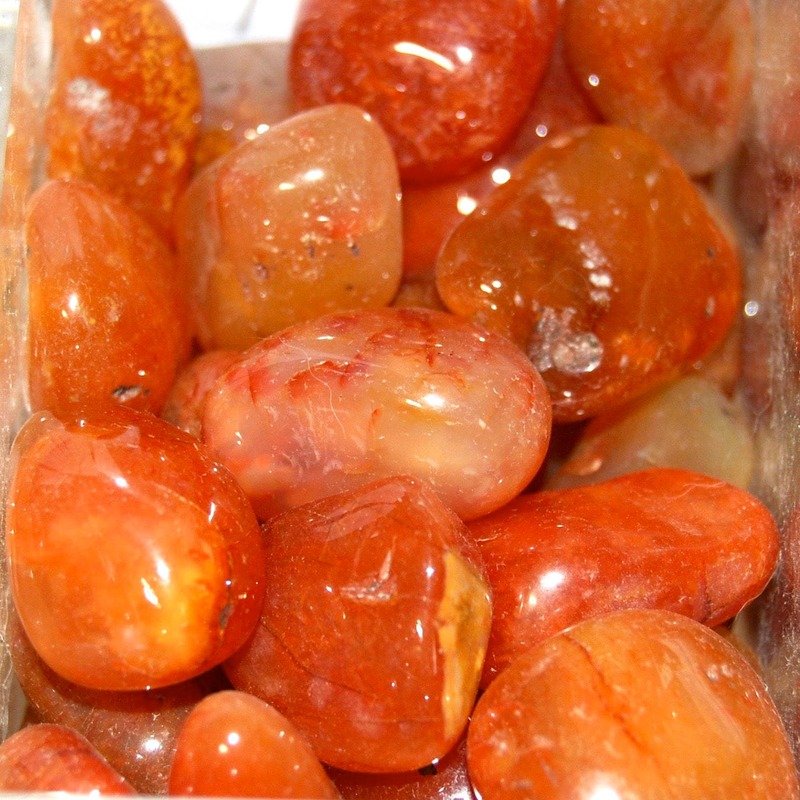 Natural Medium Carnelian tumbled stones from India. These pieces measure .75 to 1.25 inches. Stimulates inherent talents, bolsters courage. Excellent stone for public speaking. In confers eloquence and confidence. Assists in theatrical pursuits. Protects against envy, fear, and doubt. Stimulates sexual impulses.